I’ve been reading about New York furnishings. Mainly stores, galleries and showrooms. I think something was missing on New York Design Agenda, as far as Antiques is concerned. So I decided to feature one of my favorite design galleries in NY: r 20th Century. R 20th Century is a two-storey, 5000-square-foot showroom and gallery featuring an international selection of rare and unique designs from the past century. Zesty Meyers and Evan Snyderman founded R 20th Century in 1997 to realize their combined goal of promoting a closer study, appreciation and preservation of 20th and 21st century design. Meyers and Snyderman have garnered international acclaim for their groundbreaking exhibitions and publications and for their commitment to preserving history through their extensive archives, library and private collection. Consistently, Meyers and Snyderman exhibit an extraordinary acumen for discovering and bringing designers to the forefront of the rapidly escalating design market. 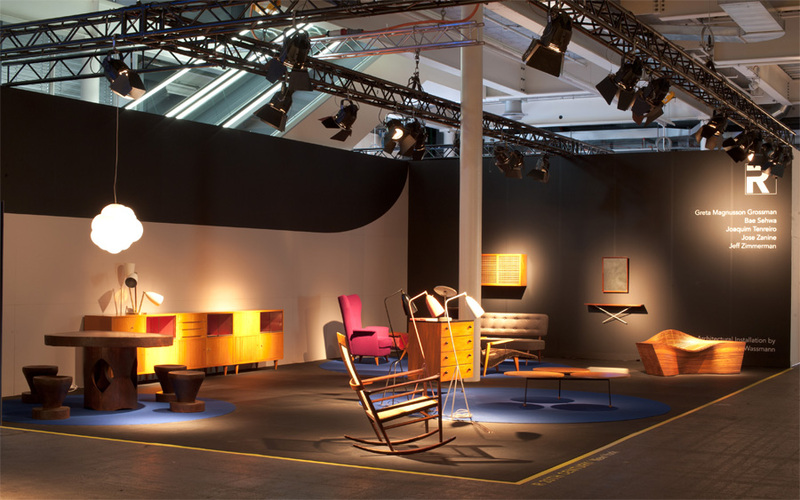 It specializes in well-crafted objects, lighting and furniture from the mid-century modern movement. Boca do Lobo and Tom Dixon creations are great examples of this type of furnishings. R is currently developing exhibitions and publications on the designers it represents — a diverse program that includes work from North America, South America, Europe and Asia produced between 1945 and today. In addition to the exhibition program and showroom in New York, Meyers and Snyderman offer the work of R designers internationally, contribute widely to publications, and lecture frequently about design.